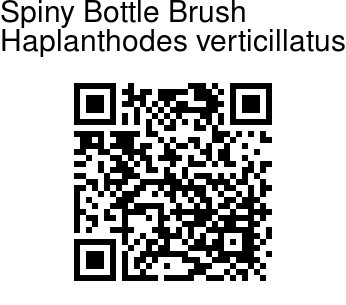 Spiny Bottle Brush is an erect annual herb, growing to only about half meter high. oppositely arranged ovate narrow leaves are 5-10 cm long. The leaves have two spinous teeth at the tip and are covered with long spreading hairs. Stalkless flowers occur in the leaf axils, densely concentrated near the top of the stem. The flowers, which appear to have five petals, actually have only two petals which are 2 and 3 lobed. 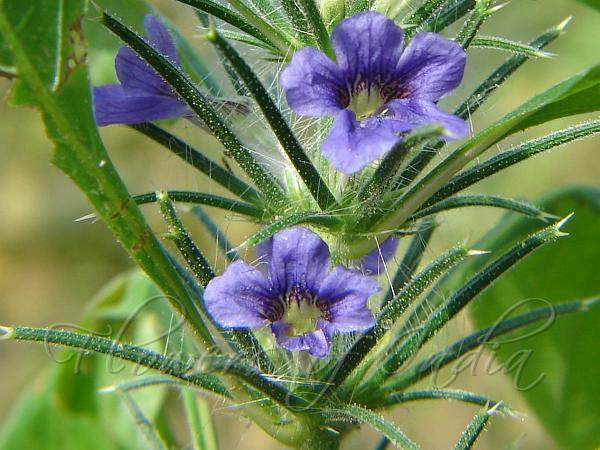 The flowers are dark blue in color and have a light green in the throat. Commonly found on rocky slopes in the Western Ghats. Flowering: November-January. Identification credit: Pravin Kawale Photographed in Lonavala, Maharashtra & Aralam Wildlife Sanctuary, Kerala.